Last minute SVE para Francia, un Pais donde tenemos pocos socios pero muchos usuarios interesados, pues atentos a la informaciòn y si realmente interesados y disponibles enviad vuestras candidaturas! – Organizing special activities in coordination with FJT staff on personal hygiene, International Women’s Day, International AIDS Day and other themes. – Participation in the development of the Platform Europe in La Rochelle through helping and accompanying the young people who wish to take part in the European voluntary Service Programme, and at the same time through the creation of European exchanges. The list of activities given above is not exhaustive. One FJT goal is to promote cross-cultural interaction among youth and FJT residents, who represent a wide variety of geographic, socio-economic, educational backgrounds, in a convivial environment that optimizes socializing and cross-cultural contacts. The presence of youths from other European countries will enrich the content and diversity of interaction by promoting mutual understanding among youth. The volunteers will participate in the animators’ meeting where they will be able to share their ideas, develop activities and also evaluate their implementation. In cases of difficulty, the tutors remains at the volunteer’s disposal for assistance. No hay requisitos linguisticos o profesionales especificos. 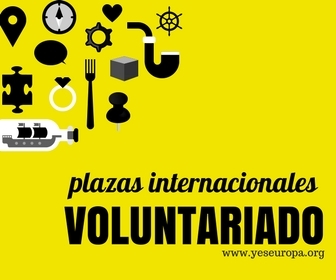 La entidad busca una persona mayor de 24 y menor de 30, dispuesta en desarrollar actividades con jòvenes de entre 16 y 30.
la entidad busca jòvenes creativos con capacidades de organizaciòn y de trabajo en equipo. Por supuesto buscamos una persona altamente motivada y con disponibilidad para toda la duraciòn del SVE. El SVE deberia comenzar a principios de Octubre y tener una duracion de 12 meses. RECUERDA especificar en el correo que tu sending organisation es Ingalicia ya que el proyecto està ya aprobado. Los candidatos que no pondran ingalicia como entidad de envio no seràn admitido a evaluaciòn.